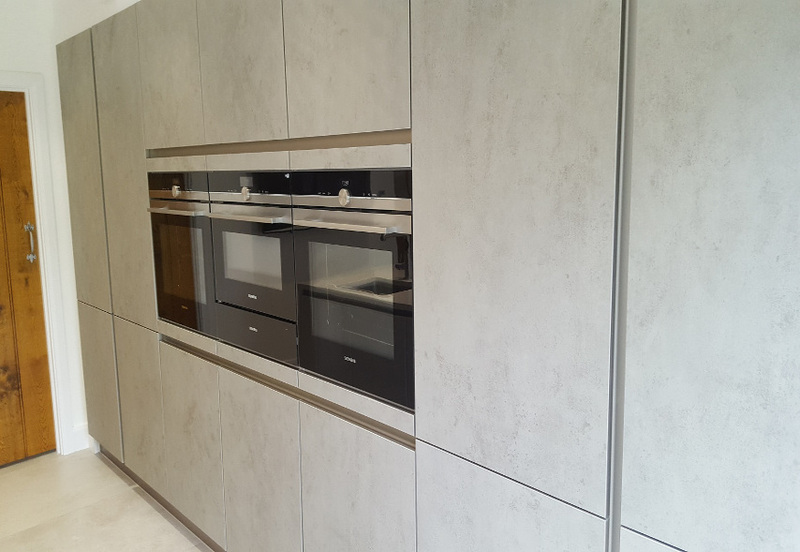 A superb looking two-tone, multi-finish kitchen design from our Next125 range. 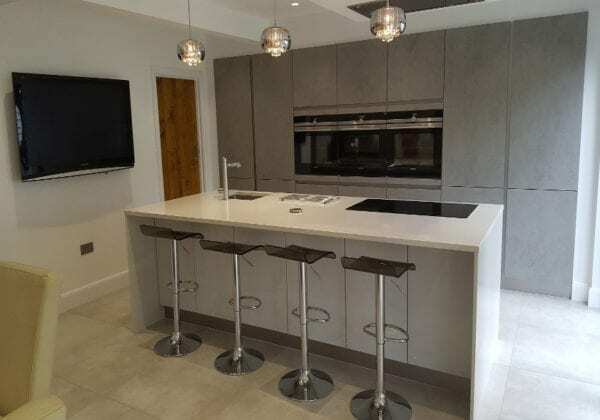 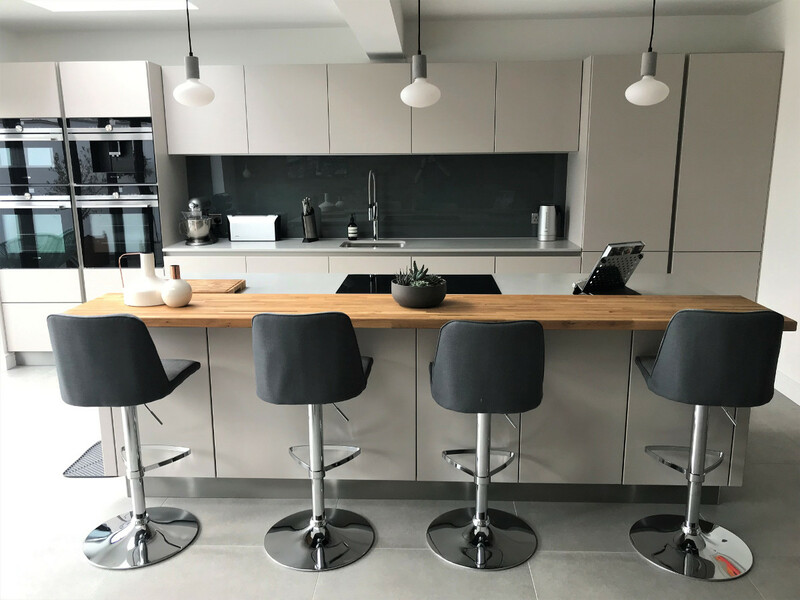 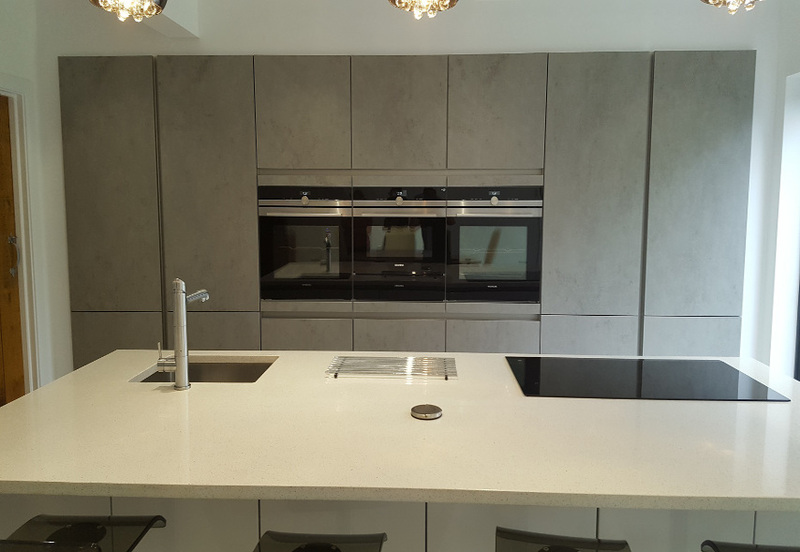 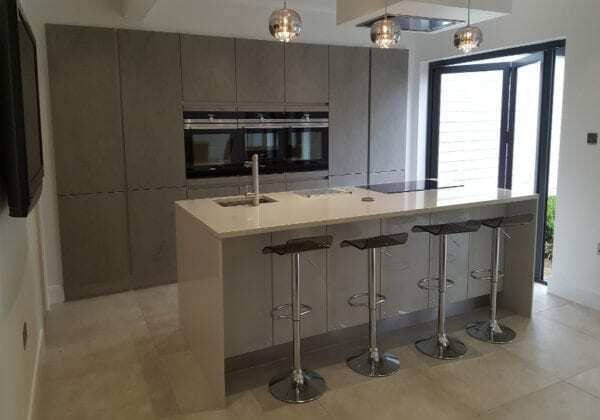 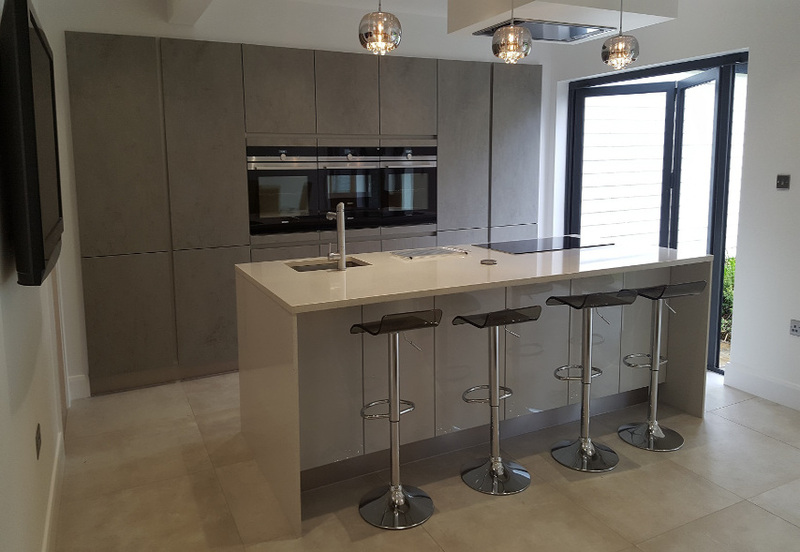 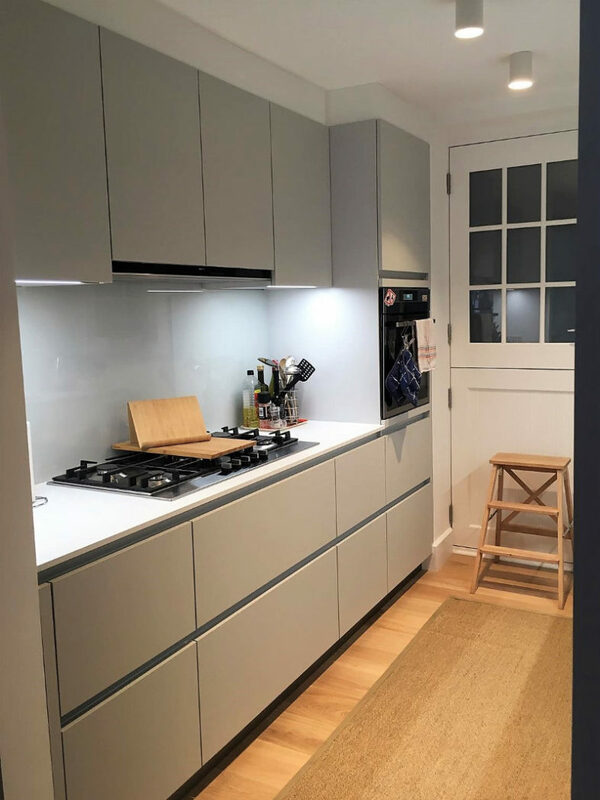 The tall units feature our Ceramic concrete grey door, with all base units including the 2.8 metre island in Crystal grey high gloss lacquer. The worktops are made from Quartz and are 30 mm in thickness.